Now that the Google AR vs. Apple AR war has begun, who do you think will win? We'll all win, as long as we know the best of each system. AR has become a new area of contention between Google and Apple. Anytime a new front opens between these two market forces, investments into the sector multiply. Even though AR is just beginning to attract widespread public interest (think Pokémon Go and Magic Leap), tech developers have been working on it since the early 2000s. The proverbial battle between Apple and Google has never stopped, and after smartphone platforms and even healthcare, now it’s extending into augmented reality. 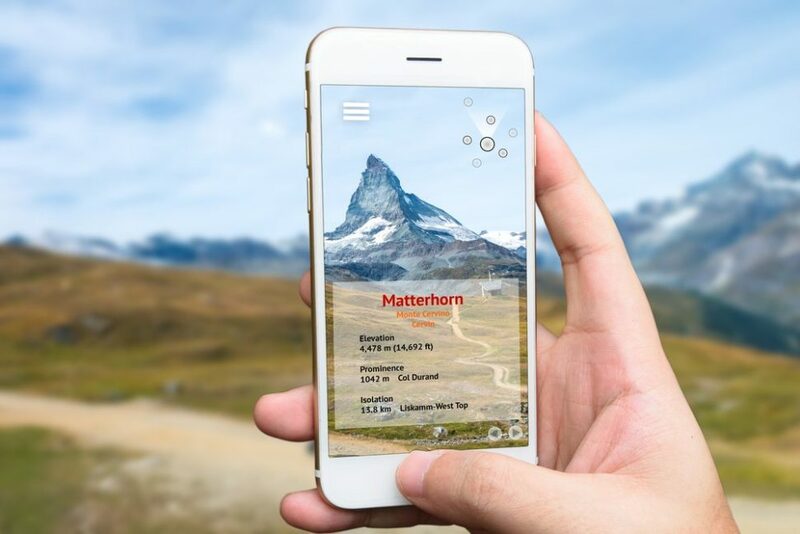 AR technology allows the use of a camera and a screen (a smartphone or a tablet), or connected glasses, to overlay virtual elements (images, texts, videos) to a real-world setting. For now, mobile is the most favorable channel for AR democratization. Last year, Niantic’s global hit, Pokémon Go, served as an ambassador that generated enthusiasm among the public around AR technology and its potential. Prior to Pokémon Go, Snapchat filters made it possible for the general public to discover this tech in a playful way by embellishing faces with flower crowns or dog ears. Then, Facebook and Instagram have also adopted this system, regularly offering new animations in their updates. Apple and Google are spearheading a movement that aims to popularize AR tech and storm smartphones and tablets. Recently, there was a surge in demonstrations from both companies of upcoming AR solutions, and this is only the beginning. Augmented reality offers promising economic opportunities in many fields beyond gaming and entertainment for the average consumer: think education, training, tourism, real estate, design, beauty, and many other applications that we have yet to think about. In 2016, the AR market was valued at USD 2.39 billion and over the next six years (by 2023) is forecasted to reach over $61 billion USD. Eager to bring this technology to the greatest number, Apple has acquired several startups (like SensoMotoric Instruments and PrimeSense) and recruited hundreds of software and hardware engineers to integrate AR into its devices. If you haven’t seen the iPhone X’s animojis–you’ve got to. Apple has the advantage of manufacturing both its devices and systems which gives it a more firm grip on the deployment of AR. Apple has launched a new framework for OS 11, due this fall, that unlike Google’s Android, isn’t fragmented and allows for more control with only iPhone and iPad devices for with to compensate. Called the Apple ARKit, the SDK allows developers to use the camera and motion sensors of the iPhone and the iPad to map the environment, obtain additional information or to project virtual elements into real setting, without any additional sensors, unlike Google’s Tango. With ARKit and the new batch of iPhones–iPhone 8, iPhone 8+ and especially iPhone X – Apple wants to offer the best hardware and software for AR developers and customers. But there’s more. ARKit is a start toward an AR future that Apple thinks will be for glasses and HMDs (head-mounted displays). A patent application from last July describes Apple’s take on AR glasses and its ambitions to succeed where Google has failed. Since 2012, Google has been developing the Tango project, a technology combining cameras and sensors to equip smartphones with 3D capabilities and allow them to calculate, in real time, the position of objects or to display virtual objects onto the image. As Tango is compatible with only two smartphones brands, Asus (Zenfone AR), and Lenovo (Phab 2), Google wants to rectify this by casting a wider net and support all Android devices that don’t necessarily have depth sensors. Following a demonstration by Apple of AR apps designed on its platform, the next day Google introduced its own development platform. Named ARCore, the platform is a system that integrates several tools for developers who want to design AR apps on Android. As soon as it was announced, ARCore has been made functional on the Google Pixel and Samsung Galaxy S8 devices, which are several million phones out of the 2 billion Android devices currently on the market. Google also plans to leverage mobile cameras. Google Lens feature is an AR image analyzer that allows Google Assistant to use a smartphone’s camera to scan real-life items and provide information about them. Last but not least, Google still have faith in its AR-enabled Google Glasses, having unveiled an Enterprise Edition intended primarily for industrial workplace. However, most experts are waiting for Magic Leap’s long-teased mixed reality glasses, which are now set to be pre-released within six months. Who do you think is ahead of the AR game? Share with us!